Is Farm Equipment Covered by the Lemon Law? | The Consumer Law Group, P.C. Is new farm equipment covered under Virginia’s Lemon Law? Tractors and combines are major investments for farmers and they are completely justified in asking about warranties and return policies when they purchase new equipment. When you are spending an average of $75,000 on a new tractor or over $300,000 for a new combine, you want to be sure the quality is guaranteed. Fortunately, the Commonwealth of Virginia agrees and offers lemon law coverage for farm equipment, much like its lemon law coverage for cars and trucks. In order to make a claim under the lemon law, you will have to provide proof that the vehicle is used primarily for farming. Does the Lemon Law Apply? No, but other breach of warranties laws do. 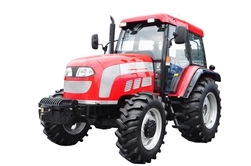 Although many farmers are not aware of it, the breach of warranty law as it applies to farm equipment is similar to the breach of warranty for other vehicles. Once you discover that the tractor or combine does not conform to the written warranty and have notified the manufacturer, the manufacturer or its agents have a limited number of attempts to repair the nonconformity. If the manufacturer or its authorized dealers do not fix the problem after a reasonable number of attempts, they are required by law to replace the equipment with comparable equipment acceptable to the consumer, charging the consumer only a reasonable allowance for the consumer's prior use of the equipment, or accept the return of the equipment from the consumer and refund the cash purchase price, including sales tax, license fees, registration fees and any similar governmental charges. With such a major purchase, this is obviously a significant benefit to be aware of. Timing is key when applying the lemon law, so as soon as you run into trouble with getting your tractor or combine repaired under warranty, contact The Consumer Law Group, P.C. John Gayle wrote Virginia’s lemon law and he will try his best to what you deserve.